Back again with the weekend transfer updates for AC Milan, not many development arrived in the early part of this week, though Rossoneri got themselves a new arrival on Fabio Borini from Sunderland. Let's get into more details about the news and rumors that I've been receiving recently regarding Milan's transfer market this summer. Several situations have seemingly halted AC Milan's transfer moves, particularly recent Gianluigi Donnarumma's case which forced Rossoneri to search for a potential new keeper. 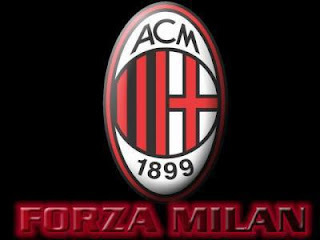 This early weekend, I will try to share some of the latest reports regarding Milan's transfer plan for the upcoming 2017/2018 season. 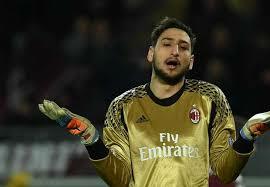 In the past couple of days, the footballing world has received a slight shock wave due to Gianluigi Donnarumma's decision not to renew with AC Milan. Although it's often seen as quite normal for any player to opt out on his contract, but the young goalie's decision, notably created such thunder for many, especially those in Italy. Aside from the basic contractual thingy, eventually many speculation eventually rises regarding the 18-year-old's rejection of renewal. From those who despite that decision, even to some who seemingly try to make right of the situation by once again putting doubts on Rossoneri's project. Looking it from the outside, it's certainly a situation which I didn't really predict at first, sine just like I wrote in my previous transfer analysis, the keeper situation looked more than a chess match at the time, but things suddenly evolving into an odd manner. After a very hectic year due to work and other personal issues, I finally able to get my writing mood back again. This time is already gearing up for a new season with some early signings already on the books for AC Milan, so lets start analyzing at some potential arrivals or maybe departures, which I gather up from several sources, including those outside of random twitter stuff and crappy media speculation.